This show is gonna feel like a punch in the gut, I swear. JTBC’s upcoming drama A Beautiful World has just released a trailer and poster, and even these brief glimpses of Nam Da-reum (Fox Bride Star) has my heart breaking for his character. He’ll be at the center of this story of school bullying and family tragedy, which is a combination that already has me reaching for the tissues. The teaser itself is quite simple but hugely effective: The camera is zoomed into Nam Da-reum, who is laying on the ground with his earphones in. He looks to all the world to be peacefully dozing on a warm, sunny day, though his choice in music might be considered strange for a 16-year old – we can hear strains of a children’s song coming from his ear buds. 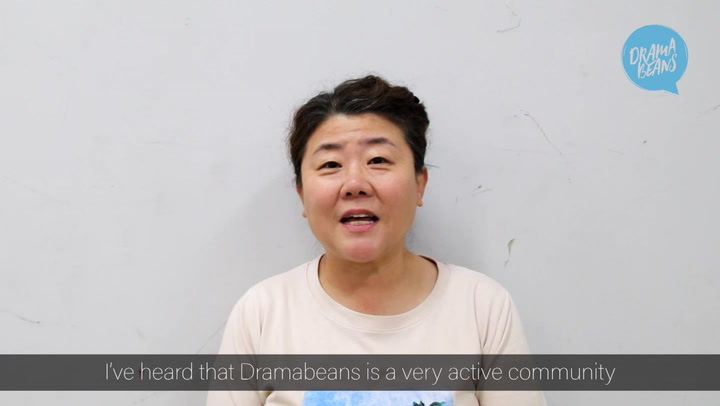 The tune shares a title with the drama, A Beautiful World, and it’s a very popular one that almost everyone in Korea learns in elementary school. The song grows louder as the camera pans out, and there’s something chilling about hearing children singing, “Let’s make a beautiful world together,” as blood quickly starts pooling below Nam Da-reum’s head. Oof. And of course, we can’t have a school bullying problem without the bully and his parents. Oh Man-seok (Investigation Couple) and Jo Yeo-jung (Perfect Wife) will play the parents to the bully who lead the charge in tormenting Nam Da-reum. The director-writer duo for A Beautiful World, Park Chan-hong and Kim Ji-woo, respectively, have been creative partners for a while. They’ve worked together on dramas like Resurrection, Devil, and Memory, which sounds like a good thing when dealing with a subject matter as dark as school bullying. A Beautiful World will premiere on JTBC’s Friday-Saturday slot on April 5, following currently airing Legal High. This trailer wrecked me. Whoever thought of it is awesome! I'm excited to see Nam Dareum in a lead role. This was finally a promo trailer done right I would give whoever came up with it a big raise. I can already see this being a career defining role for NDR. I agree, finally Nam Da Reum as a lead and not just the younger version of someone. He is so talented and I know he will wring buckets of tears from me. This drama will be a emotional rollercoaster . In the same thema, the korean version of Solomon's Perjury was really great. Funnily enough, seo young joo will also be in this drama. Ohhhh interesting! Was it specified which role he's going to play? Translating what's been released in articles: His character is han dong soo. He grew up in a bad environment, doesn't have any hopes or dreams for the future, and is considered a troublemaker by adults. He doesn't have any parents so he works a lot of part-time jobs. Thanks! He'll be good for that role! Wishing he'd be considered a troublemaker but ends up the one helping Dareum. SYJ is the one degree of separation between SOLOMON’S PERJURY and A BEAUTIFUL WORLD. I love everything this duo has done, no reservations. Wish I could find Resurrection somewhere, I never got to finish it. My favorite was Devil. I even bought a CD of the soundtrack on ebay over a year ago, put it in my car and listen to it whenever I'm driving around. Still not tired of the music. This is going to be scary! It gives me School 2015 vibes minus the romance. Bullying stories are very hard to watch! Nam Da-reum in a lead role!! JTBC seems to be really good at promoting dark dramas with lighter marketing, like The Third Charm, The Light in Your Eyes, and SKY Castle. The colors of these teasers are so innocent and natural, but adding the blood was genius. Probably one of the coolest teasers I've seen in recent memory. Nam da reum is great. I was lead to believe the adults(their parents) are the leads, so interesting to see promo of the kids first. Though I have to say, while I love nam da reum, I'm even more excited to see seo young joo. That boy is insanely good and so underrated. I don't think anyone else plays damaged youth better, lol. Though he is definitely great with a completely different role as well(see GG 1979). He is only 16 years old in real life ( I think 18 korean age) but he's such a precious actor. I hope he will stay this way and won't make some stupid things in real life behind the curtain. Can't wait to see it!!! That trailer was effective. Super excited for this! That trailer is hauntingly beautiful. I'm not sure I'm up to watch an emotionally draining drama like this, but the fact that Nam Da-reum is going to be a lead here is tempting me (plus there's Seo Young-joo too). Gahhh I’ll have to see what mood I’m in when this airs. It looks like it will break me, but in a good way. I love their tandem in Ressurection and The Devil. Eventhough I won't expecting anything close to those two classic for this drama. I will expecting something solid at the very least. I was Dissapointed with Shark turn out to be. But This is JTBC... So I'm hopeful. OOOHHH IM EXCITED FOR THIS!!! I'm getting JBL tragedy vibes!! (oh wait, he was in there, too). Ofc, we cant compare trauma from bullying or a building accident..... but I'm ready for some crying and healing! Yay! A true defining lead for Nam Da-Reum. We know he has the talent, and hopefully, the show will capitalize on it. I think it will. Fighting! I am now looking forward to this. That teaser was very effective. Watching the teaser for first time without expecting anything it literally gave me Goosebumps. Didn't see that ending coming... it was just soo emotional and so deep. Thanks for the casting news, @tipsymocha. Yikes! The trailer for A BEAUTIFUL WORLD looks like a cross between SOLOMON'S PERJURY and COME HERE AND HUG ME. Nam Da-reum was terrific in the latter. But I don't think I can stand seeing him get wangtta'd after what he went through at the hands of Daddy Dearest. On the other hand, Director Park Chan-hong and writer Kim Ji-woo turned out the fabulous MAWANG / THE LUCIFER -- whose plot hinged on bullying and its consequences. Viewers fed up with ITEM might enjoy MAWANG for Ju Ji-hoon's portrayal of a man on a mission of vengeance. The drama is a gripping cat-and-mouse game marinated in the symbolism of the tarot. The music is terrific. Sounds like my type of drama. It sounds like Nam Dareum isn't dead but maybe he'll die during the course of the show. I hope not. This looks so depressing but I'm in. Wow. What a great teaser. Nam Da-reum will be wonderful. No doubt about that. How the bully and his parents are treated will be very interesting. The experienced adult actors are one thing. If I am reading ABW's wiki page correctly it seems the bully will be played by the child actor Seo Dong-hyun. I have not seen any of his work A couple early thoughts. I would not be surprised if NDR and SDH are friends so this could be a challenge for both. The Director, Producer etc. are going to have to find a way to protect SDH from those who can't separate an actor from his part. I am already nervous. I have only seen OMS in SQUAD 38 and a brief look at him in VINEYARD. I know he is a fan favorite. I am unfamiliar with the body of his work. Perhaps In ABW he has been cast against type. I am totally unfamiliar with Cho Yeo-jong who is cast as OMS’s wife. Oh Man-seok was pretty darned scary in OUR TOWN. Pairing him with Cho Yeo-jong is a canny move. I've seen her in a couple of movies. She can be very intense, with an imperious air, so I expect she'll do well as the mother of a bully. They will make a formidable team of antagonists. I'm usually curious as to how bullies come into being. Are they born that way, the product of dreadful parenting, or did they start out as wangttas themselves? It will be interesting to see whether Junior the Bully is a chip off of either of the parental blocks. Wow I am super excited for him! He will do great no doubt. But for once can he be cast in a happy role? I have seen him in all the dark ones - Come and Hug Me, Fox Bride Star and another one where he pays these sad characters :( I'll watch it! I loved Solomon’s Prejury and this sounds and looks to be in a similar vein so bring it JTBC.